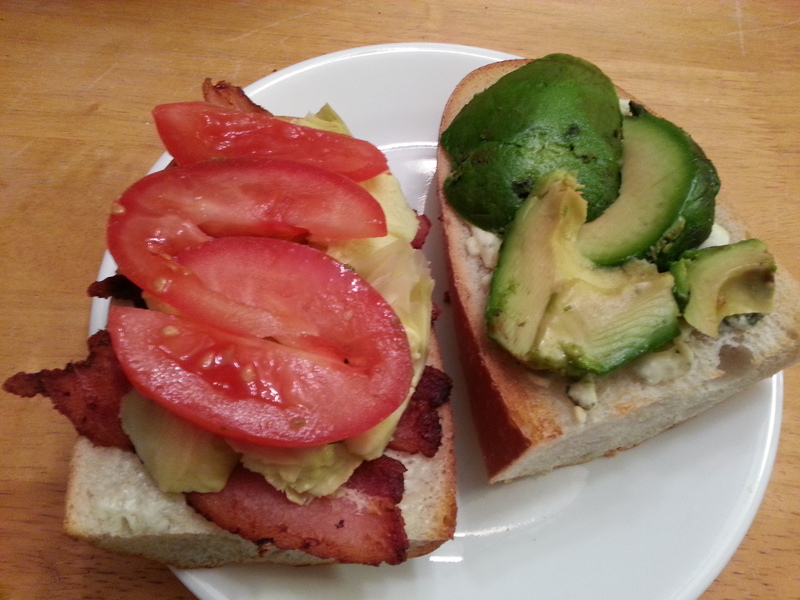 Two sandwich halves, one with toasted Italian bread spread with mayonnaise and topped with bacon, artichoke hearts and tomato slices, and the other topped with blue cheese and avocado. Slice bread lengthwise; spread mayonnaise on one half, and press blue cheese crumbs firmly into the other half. Lay slices in a toaster oven or under the broiler, and toast until the edges of the bread become crusty and the cheese is softened. Lay the bacon, tomato, avocado, and artichoke hearts on the blue cheese slice, and top with the mayonnaise slice. Mash down as needed to make the sandwich cohesive, and sized for eating. 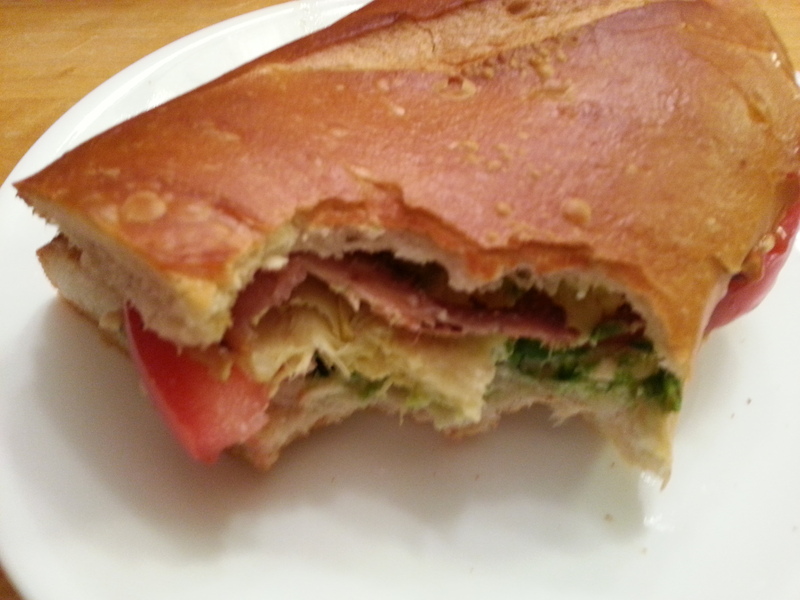 The prepared sandwich, with a couple bites eaten from it, showing off the colorful, tasty layers. Mn, rosemary bread would be lovely! That looks like some serious goodness!